Trainspotter Harriet Gale from Greater Auckland takes a look at the upgrades in train for our under-appreciated rail network – reposted here with permission. I thought I might do a little series giving an update on the upgrades Wellington has submitted budget bids for, the more recent upgrades and how their network could be run more efficiently. In this post, we will look at the current network and the more recent upgrades. For the most part, the network has the advantage of being a legacy one benefiting from investments made before the shift of thinking in the post-war period away from public transportation, especially rail. However, there are also downsides to this with many of Wellington’s issues being traced back to equipment that is past the end of its useful life. The network’s first electric service was in 1938 (!!!!) and this progressively extended over the decades, with the last extension to Waikanae in 2011. One downside of the age is that the traction system is 1500vDC compared to Auckland’s and the North Island Main Trucks 25kvAC. The main weakness of the former is that you need many more substation feeds, making it harder to extend electrification than the latter, however, it also doesn’t require as much clearance and can mean less adjustment to loading gauge on routes. The network also has the advantage of a beautifully designed [terminus] station, which has a nine platform terminus with plenty of capacity. This is because the station can be served by multiple tracks, unlike Britomart which is only double track and would be very expensive to add further tracks. The network also has this amazing flying junction (pictured below) where the Hutt and Kāpiti lines meet. This means there are no conflicting movements between the two busy main lines. Could we please have one of these for Westfield, please! 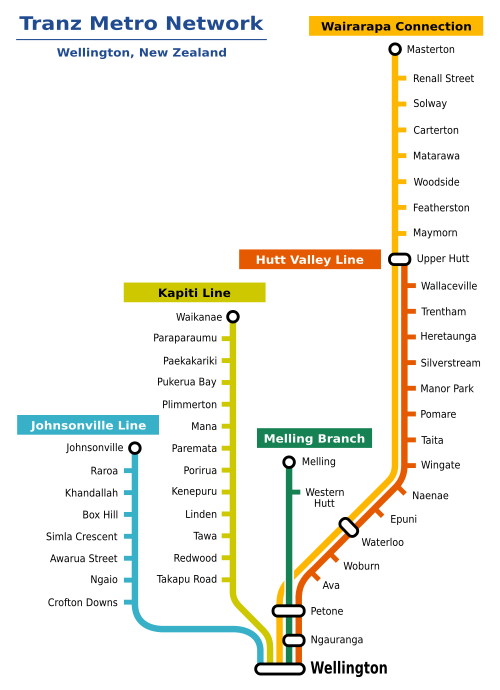 The big disadvantage is that Wellington station is at the northern end of the city centre, meaning many people have to transfer to buses to get further south. [See The Golden Smile]. The other disadvantage the Wellington network has is the older signalling system. Unlike Auckland (which has the modern European Train Control System Level 1 compliant signalling), this means on the Wellington network there is no automatic train protection from signals passed at danger or overspeeding on sections, as well as lower feasible headways. And apart from the third track in the yards approach to Wellington station (which operates in a peak tidal flow direction for the Johnsonville line) there is a lack of proper bi-directional signalling. 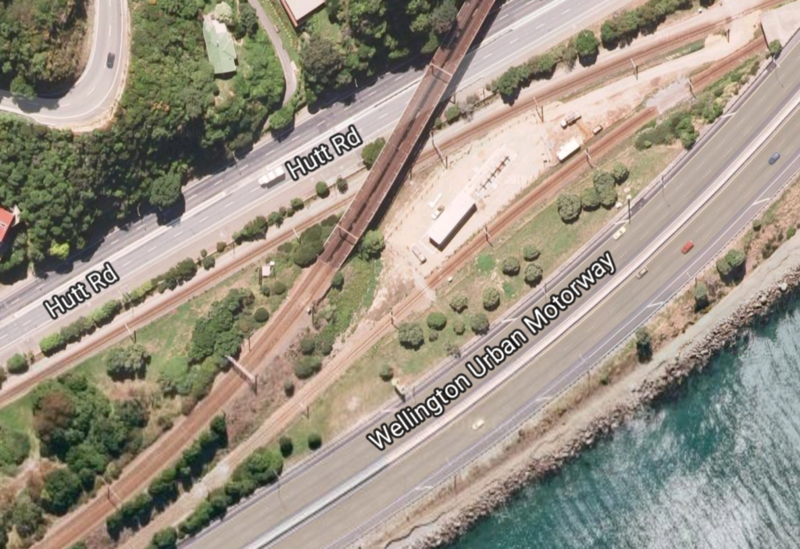 So that sums up the Wellington rail network and its recent upgrades, next post we will look at the upgrades that Wellington has submitted budget bids for.